Russian visas are issued by Russian consulates in your home country, based on an invitation (Foreign Tourist Reception Confirmation and Tourist Voucher) issued by an authorized Russian travel agent. 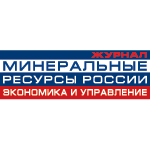 Reisebuero WELT travel bureau is appointed incoming travel agency for MINEX Russia 2016 Forum in Moscow. It is officially registered with the Ministry of Foreign Affairs (MFA) as a legal entity able to provide Foreign Tourist Reception Confirmation and Tourist Vouchers, which should be presented with the visa application to Russian consulates in order to obtain a Russian tourist visa. 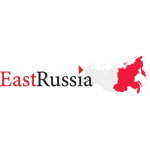 Please note that Reisebuero WELT provides Foreign Tourist Reception Confirmation and Tourist Voucher free of charge on condition of booking hotel accommodation via http://www.minexrussia.com/2016/accomodation.